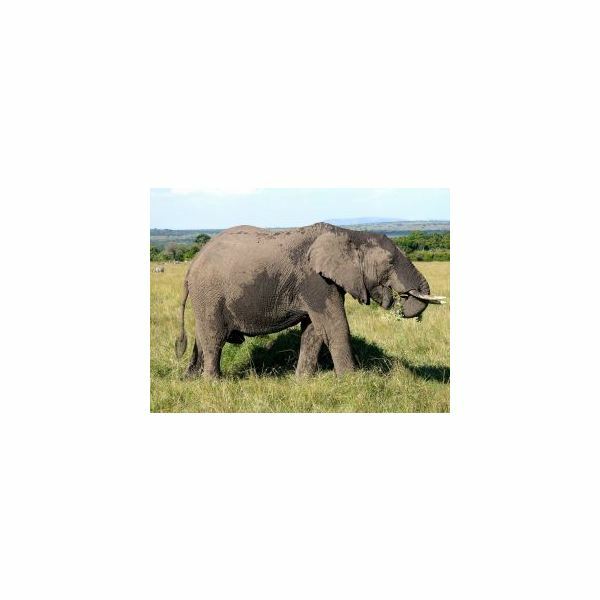 This is a great craft to do to accompany a lesson about elephants. Flip over your paper plate to the side you don’t normally eat on. Use some gray paint and a paint brush and completely cover the paper plate. This is your elephant face. Give the paint some time to dry before you move on to step 4. Lay out a piece of gray construction paper. Put a cup that is larger on top and smaller at the bottom on the gray paper with the biggest side facing down on the paper. Trace around the edge of the cup to form a circle on the construction paper. Do this two times. One for each elephant ear. Flip the cup over and place that side on a piece of pink construction paper and trace it with your pencil. Do this two times. Paste the pink circles inside the larger gray circles. Paste your finished ears one on each side of the top of the paper plate. Pasting them behind so they stick out is best. Add a pair of google eyes to the front of the elephant face. If you don’t have any you can just draw two black circles in for the eyes. Get another sheet of gray construction paper and cut out a long narrow rectangle. Cut the end of the rectangle to curve and not be a straight edge. Add 3 lines across the middle of the rectangle to make some elephant wrinkles. Paste this trunk down the middle of the face below the eyes. Cut out two tusks from some white construction paper. The tusks can be long skinny triangles. Make sure when you paste them on that they turn outward. If you enjoyed this paper plate craft check out: The Lion and the Lamb Paper Plate Craft.